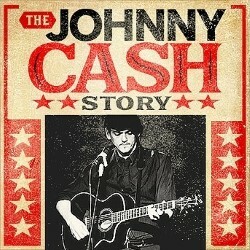 The Johnny Cash Story returns to the Edinburgh Fringe to take you on an incredible journey through the career of the 18-time Grammy winner. Immerse yourself in the world of the Man in Black in this groundbreaking show-umentary format. Featuring powerful renditions of Folsom Prison, Ring of Fire, Man in Black, Hurt and many more. This astonishing back catalogue is realised with authenticity by Jamie Rodden, a critically acclaimed performer whose renditions of Cash’s songs at Edinburgh Fringe 2016/17/18 won audiences and wowed critics. 'Powerful and compelling singer' (FringeGuru.com). 'Fabulous music, touching, entertaining' **** (ScotsGay.co.uk).